First up is a lipstick that was sent to me by Precious About Makeup, which is a site that sells professional make-up brands that are nor easy to access elsewhere, such as Kryolan, Ben Nye, Make Up Forever and Louise Young to name a few. This particular lipstick is from a brand called Make-up designory or MUD for short, which is another professional make-up brand. I was sent the shade Burlesque, which is perfect for Autumn because it is a berry-red colour, although it looks brighter when applied. This lipstick has a satin finish and is extremely comfortable on the lips, not at all drying, is opaque and is very long-lasting before fading to a stain. This is the first lipstick I have tried from this brand but it won't be the last because it has seriously impressed me. It is priced at £15.50, which I think is a good price for the quality and can be purchased here. Next up is MAC Plumful, which is a beautiful plum colour (as the name would suggest) but it doesn't run too purple in tone - it's just a pretty plummy-pink that would flatter all skin tones and is perfect for autumn. It is slightly deeper than my natural lip colour and I find that it is one of those lipsticks that works just as well when I am pale as it does when I have some colour in my cheeks. It has a lustre finish and isn't the most long-lasting on the lips but is easy to re-apply without too much fuss. I adore the vanilla scent of MAC lipsticks! It is priced at £15.50 or €20. I love a good mauve/pink lipstick and Nars Anna from the Audacious line is hard to beat. This lipstick formula is so creamy, yet not so slippy that it will end up all over your teeth! It is opaque, so comfortable to wear and pretty long-lasting. I think Anna is the perfect colour to wear if you don't want to go into full-on Autumn mode but you are ready to leave the pinks and corals of Summer behind! The Audacious lipsticks are priced at £24 or €30, so they aren't the cheapest lipsticks but are worth splashing out on if you feel like treating yourself. An easy, everyday lip option is MAC Syrup, which is a cool toned plummy-pink that has a sheen to it, but I wouldn't describe it as glossy. It is perfect for natural make-up days or when you can't be bothered to do a full make-up routine but want to look put together. As with other lipsticks in the lustre range, it isn't the most long-lasting but with such a sheer finish, it doesn't bother me. It is priced at £15.50 or €20. Finally, I have Urban Decay After Dark from the Comfort Matte range. I have the one in the old packaging and although I want to try some of the new Vice lipsticks, I don't see the point in buying one that I already own even if I do like the new packaging! 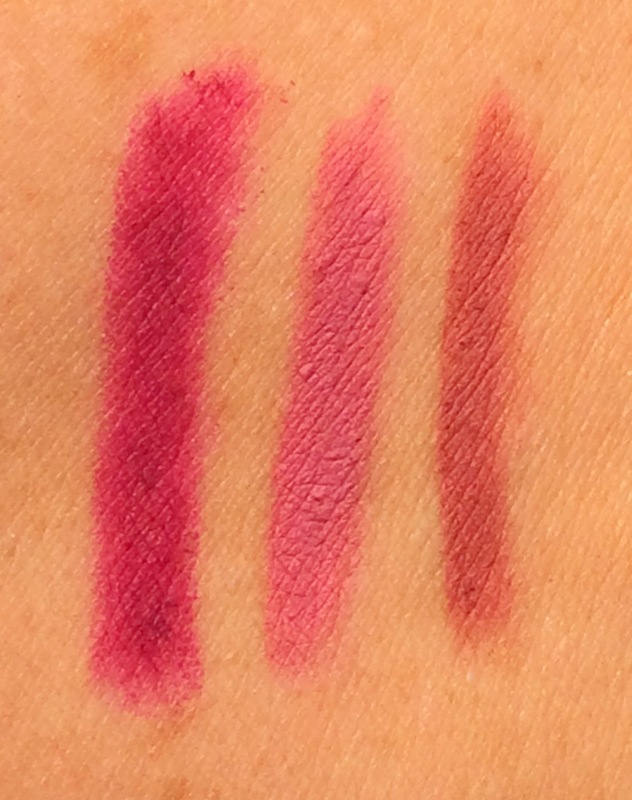 Although this is a matte lipstick, it is actually not at all drying on the lips. The deep berry pink colour is just stunning and this is a very opaque lipstick - just one swipe is enough to cover my lips. I find this shade to be very flattering on my skin tone and not at all draining. This is the longest lasting lipstick of the bunch and will last a good 8 hours on me before fading to a stain. This is priced at £15 or €18. Honourable mentions have to go to MAC Rebel, MAC Mehr, Nars Audacious Fanny and Nars Damned Matte Lip Pencil but I haven't included them today because they are very similar in colour the five I have mentioned, but I know that they too will be gracing my lips this Autumn! I don't have lip pencils to match each of the lipsticks but am including three that I think will cover all bases. All are from MAC. 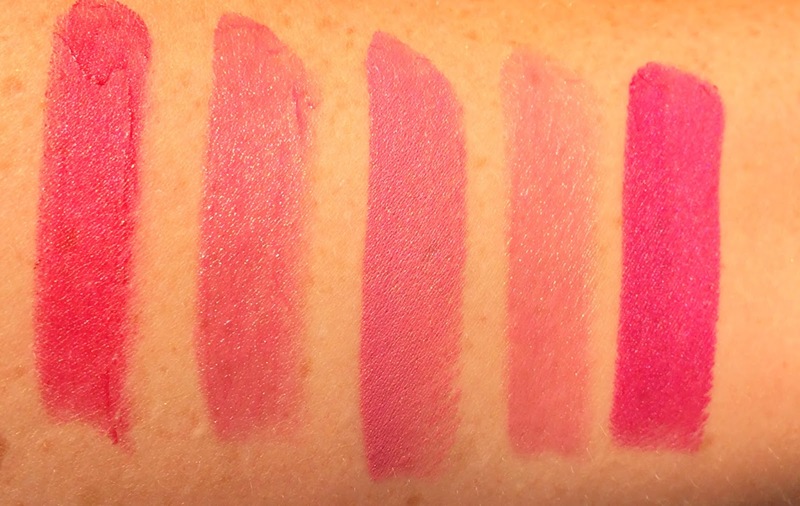 Rebellious is from the Pro Longwear range and is really soft so it doesn't drag on the lips and is very long-lasting. It is priced at £15.50 or €20. 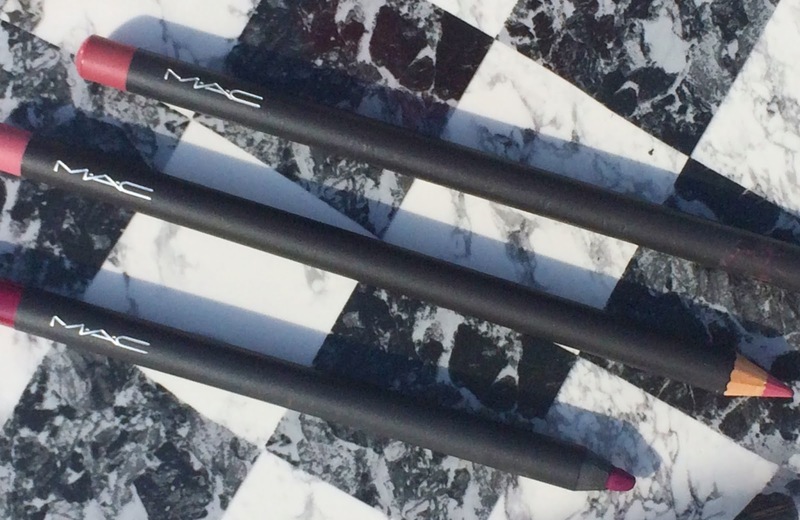 The other two are from the regular MAC line and they are Edge to Edge and Soar. They aren't as long-lasting as the Pro Longwear version but I love how soft they are because I hate liners that drag on the lips. They are priced at £13 or €17.50. 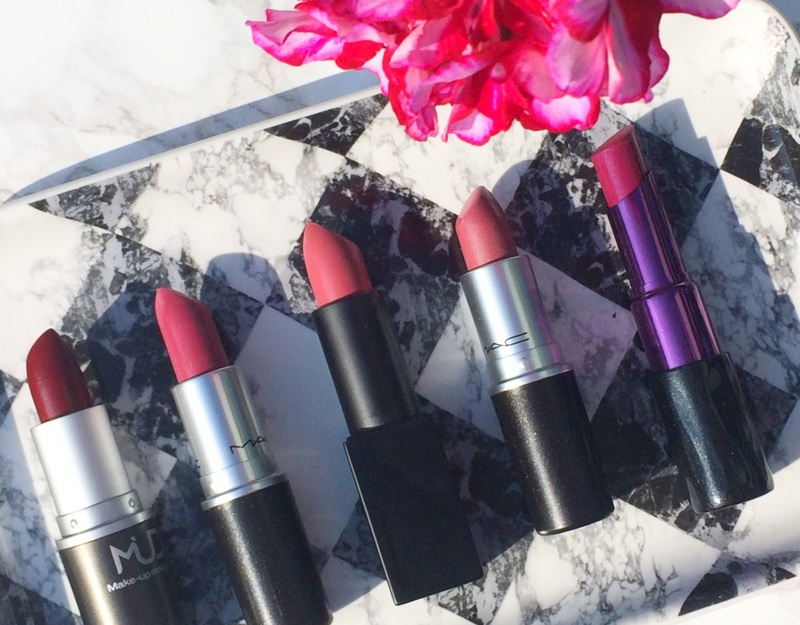 I'd love to hear what lipsticks you will be wearing this Autumn? Do you like to change all of your makeup according to the season or do you just change your eye or lip products? Please tell me in the comments below!